On the title track of Blackstar, released just a couple of days before his death, Bowie sings, “I’m not a pop star.” For me, and for his millions of fans, he was much more than that. He was someone who simply made us feel alive. This is what makes his death so hard to take. As the years passed, Bowie’s survival became more and more important to me. He continued. He endured. He kept going. He kept making his art. Bowie exerted a massive aesthetic discipline, created and survived. Indeed, survival became a theme of his art. Bowie’s death just feels wrong. How can we go on without him? Bowie incarnated a world of unknown pleasures and sparkling intelligence. He offered an escape route from the suburban hellholes that we inhabited. Bowie spoke most eloquently to the disaffected, to those who didn’t feel right in their skin, the socially awkward, the alienated. He spoke to the weirdos, the freaks, the outsiders and drew us in to an extraordinary intimacy, reaching each of us individually, although we knew this was total fantasy. But make no mistake, this was a love story. A love story that, in my case, has lasted about forty-four years. After hearing the news of Bowie’s death, I listened to him sing “nothing remains” – the opening words of “Sunday,” the languid first track on the 2002 album Heathen. The song seems now like a lamentation, a prayer or a psalm for the dead. Of course, it is extremely tempting to interpret these words in the light of Bowie’s death in the obvious way. Nothing remains for us after his death. All is lost. But this would be a huge mistake. As we’ve seen in this little book, the word “nothing” peppers and punctuates Bowie’s entire body of work, from the “hold on to nothing” of “After All”, from The Man Who Sold the World, through the scintillating, dystopian visions of Diamond Dogs and the refrain “We’re nothing and nothing can help us” from “‘Heroes’” and onward all the way to the triumph that is Blackstar, which might just be his best record in thirty years. Nothing is everywhere in Bowie. Its valences flit through so many of his songs. Does that mean that Bowie was some sort of nihilist? 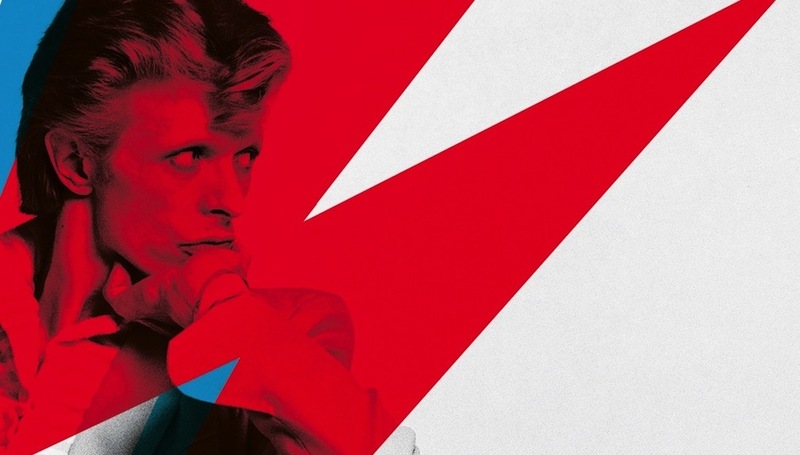 Does it mean that his music, from the cultural disintegration of Diamond Dogs, through the depressive languor of Low, on to the apparent melancholia of “Lazarus”, is some sort of message of gloom and doom? Within Bowie’s negativity, beneath his apparent naysaying and gloom, one can hear a clear Yes, an absolute and unconditional affirmation of life in all of its chaotic complexity, but also its moments of transport and delight. For Bowie, I think, it is only when we clear away all the fakery of social convention, the popery and jiggery-pokery of organised religion and the compulsory happiness that plagues our culture, that we can hear the Yes that resounds across his music. At the core of Bowie’s music and his apparent negativity is a profound yearning for connection and, most of all, for love. What was being negated by Bowie was all the nonsense, the falsity, the accrued social meanings, traditions and morass of identity that shackled us, especially in relation to gender and class. His songs revealed how fragile all these meanings were and gave us the capacity for reinvention. They gave us the belief that our capacity for changes was, like his, seemingly limitless. Of course, as I said earlier, there are limits, obviously mortal limits, to how far we can reshape ourselves – even for Bowie, who seemed eternal. But when I listen to Bowie’s songs I hear an extraordinary hope for transformation. And I don’t think I am alone in this. The core of this hope, which gives it a visceral register that touches the deepest level of our desire is the sense that, as he sings in “Rock ’n’ Roll Suicide,” “On no, love, you’re not alone”, the sense that we can be heroes, just for a day, and that we can be us just for a day, with some new sense of what it means to be us. This also has a political meaning. Bowie was often wrongly seen, particularly back in the 1970s, as some kind of right-wing nationalist (I note, with some pleasure, that Bowie, unlike Mick Jagger and Paul McCartney, turned down the offer of a knighthood from the Queen in 2003). Bowie will now never see those evergreens. But this is not just wistful nostalgia on his part, for they are nothing to him and nothing to see. Concealed in Bowie’s often dystopian words is an appeal to utopia, to the possible transformation not just of who we are, but of where we are. Bowie, for me, belongs to the best of a utopian aesthetic tradition that longs for a “yes” within the cramped, petty relentless “no” of Englishness. What his music yearned for and allowed us to imagine were new forms of being together, new intensities of desire and love in keener visions and sharper sounds. In my imaginings at least, this is how I choose to hear the quotation from the poet Hölderlin that begins this chapter. Bowie’s music permits us to imagine a future revolution in dispositions and ways of seeing. In hearing differently, we might be able to behave and see in a way that puts the past to shame. ‘Extract taken from On Bowie by Simon Critchley, published by Serpent’s Tail. Out now.